The new product makes use of our latest soft polymer top coating and can be used with both water based and UV coatings. 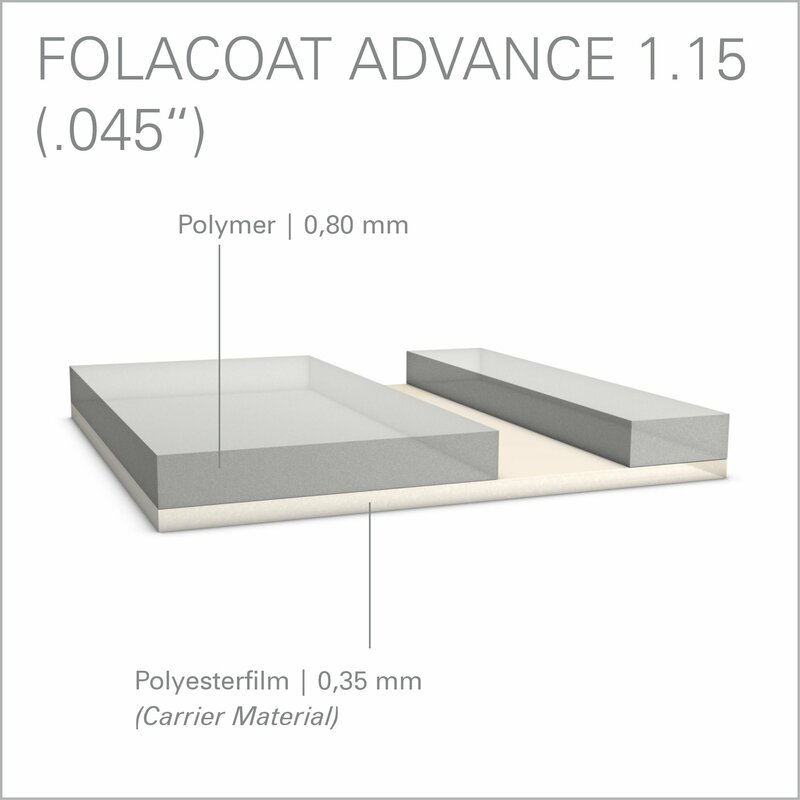 The uniform thickness profile of this coating plate allows a good coating transfer even at highest printing speeds. Small to medium print runs can be achieved with the Folacoat Advance. The single layer base polyester provides the necessary dimensional stability. and allows the multiple use. This plate can be cut easily by hand or with a CAD cutting system. this will lift the areas that need to remain.